He spoke of transforming our world by eradicating poverty and generating collective prosperity, addressing inequalities – particularly with regards to gender and the advancement of rights for women and girls, creating a safer and more just world, and combatting climate change and protecting the natural environment. Mr. Thomson announced that in order to motivate actors at global, regional, national, and community levels, he had appointed an SDG implementation team, to be led by Special Adviser Ambassador Dessima Williams along with experts from the UN Secretariat and secondees from the UN Development Programme (UNDP), World Bank Group, the UN Population Fund (UNFPA), the UN Children’s Fund (UNICEF), and Member States. Ambassador Macharia Kamau will serve as the Special Envoy on SDP Implementation and Climate Change. Supporting the UN and related agencies in making their maximum contribution to SDG implementation at all levels. 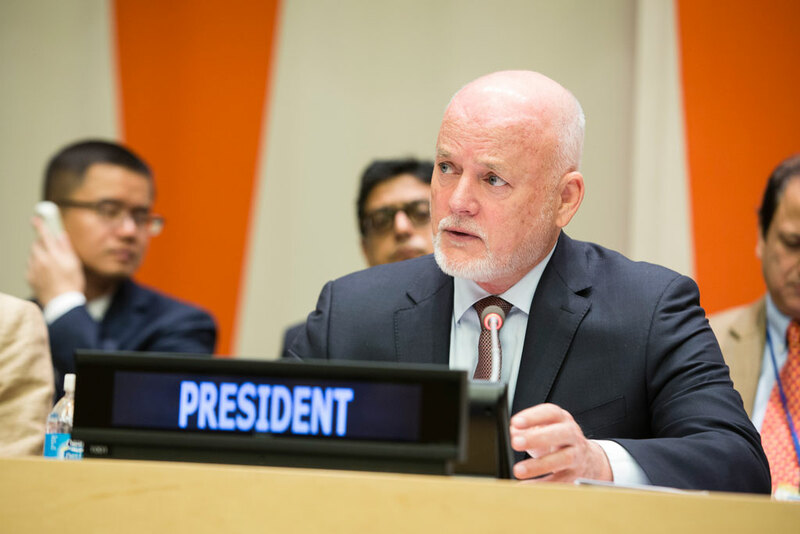 The President of the General Assembly acknowledged that while responsibility for implementing the SDGs lies primarily with Governments, the UN has a central support role in order to see that the Goals are put into action. 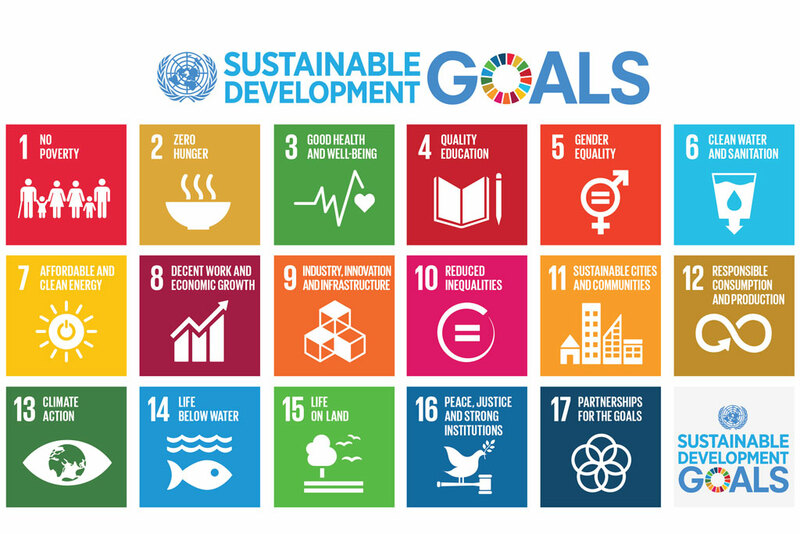 In order to ensure that the first track – which seeks to raise awareness – is met, Mr. Thomson and his team advocate including the SDGs in school curricula around the world, maximizing online communication, working with young advocates, and promoting high-level advocacy through events and workshops in order to engage the public and attract new stakeholders to the movement. The second track aims to strengthen the momentum of implementing each goal, for which Mr. Thomson outlined specific objectives and strategies to accompany each of the 17 goals. For example, he spoke of collaborating with the private sector, organizing new meetings, promoting new technologies, securing commitments from new actors, convening leading thinkers and academics, promoting local leader participation in international agenda-setting, and more. Finally, track three, supporting the UN and its agencies in order to ensure a maximum contribution to the SDGs at all levels, will be achieved by convening regular briefings with the new Secretary-General, Member States, and the members of the UN Chief Executive Board as well as maximizing the role of the General Assembly in SDG implementation and strengthening the UN’s engagement with civil society, the private sector, and other important stakeholders. “I hold myself accountable to this Strategic Plan,” said Mr. Thomson, who will report on the progress in July 2017. “A universal effort is required if our world is indeed to be transformed towards a sustainable future for human kind,” he concluded.